The Power Fleet Committee was formed a number of years ago and is one of the most active Committees at MVYC. For 2019, the Power Fleet will again be under the leadership of Mike Holland in addition to a number of Power Fleet event coordinators who assist Mike in planning and coordinating Power Fleet events. The 2018 Power Fleet event slate will provide a variety of activities for all MVYC members to enjoy. Enthusiastic and dedicated members make all of the activities enjoyable and memorable. Even though this Committee is called “Power Fleet“, the Power Fleet welcomes all MVYC members to actively participate in the many events throughout the year. 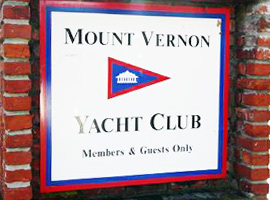 Copyright © 2018 Mount Vernon Yacht Club. All Rights reserved.